What Happened to Hannah Anderson from NBC15’s “The Morning Show”? On Thursday, June 21, NBC15 announced a new team for The Morning Show. Viewers were bummed to find out that anchor Hannah Anderson won’t be a part of the show anymore. Fans are wondering what happened to Hannah Anderson and if they will still see her on their news screens. We have all the details for you right here. Viewers of The Morning Show will be seeing new faces as of Monday, June 25. The new team consists of anchors Meghan Reistad, Tim Elliott, and Hannah Flood, along with meteorologist Charlie Sciortino and reporter Kalie Greenberg. What Happened to Hannah Anderson from NBC15? Hannah Anderson used to co-anchor NBC15’s The Morning Show. Recently, NBC15 announced the new team for their The Morning Show segment, but Anderson wasn’t mentioned. After the new team was announced, Anderson took to Facebook Live to clear up a few things. In the video, Anderson explains that she’s sad that she is not a part of the show anymore. The Morning Show was the reason why she and her husband, Luke, moved to Madison. Many people thought that Anderson was leaving the network, but that’s not the case at all! In fact, from this major change, a new opportunity showed up for her. Anderson is also an anchor on NBC15 News at 11, and that is where she will be moved to full-time, which means people and her fans will still be able to watch her at 11:00 a.m. 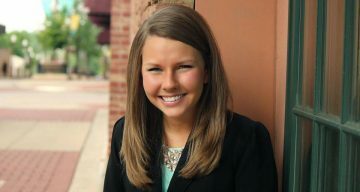 Besides anchoring the show, Anderson will also be leading her team in investigative reporting at NBC15. She told her fans that she’s currently doing a lot of research into investigative reporting and feels that many people are fairly curious about investigations. The news channel will give viewers local investigative stories, and she is quite excited about it! Anderson urges her fans and viewers to reach out to her on social media. Another reason why she is up for this new opportunity is that she will have a regular routine and sleep schedule! Right now, she is unsure if she will still be anchoring on The Morning Show with her investigative reports. Although there is a possibility, Anderson feels that she won’t be on the show anymore. The anchor loves connecting and talking with people, so investigative reporting will be a good fit for her, and it will allow her to dig into the community more. Even though she’s new to it, Anderson has always enjoyed medical and consumer reports. Anderson says she also likes to help producers design the show. However, she added that she will miss The Morning Show’s amazing behind-the-scenes crew. She won’t be on the show on Monday because she is coordinating and working with the Wisconsin Broadcasters Association on a one-day conference for journalists and young professionals in Wisconsin. Anderson wants viewers to ask her questions and give her stories or anything people want her to investigate. They can send her emails and messages directly, too. We are quite excited to watch Hannah Anderson in the new segment and wish her luck in her future endeavors!